I made this dish because I love freshly made gnocchi, and also because I’m tying to make more low-GI, reduced carbohydrate meals. 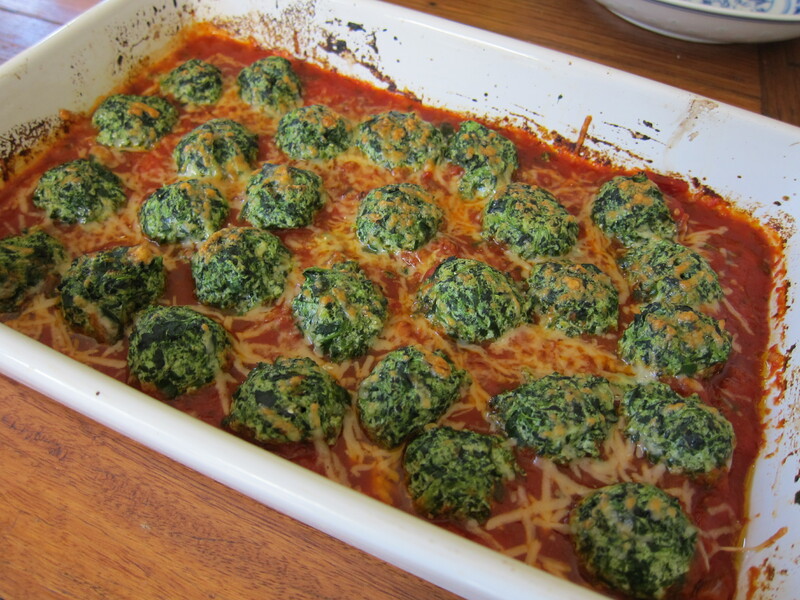 I found so many recipes on the ‘net using hugely different proportions of spinach to ricotta – some called for 2 parts spinach to 1 part ricotta, some 2 parts ricotta to 1 part spinach (?)! Anyway, the combination below worked beautifully. 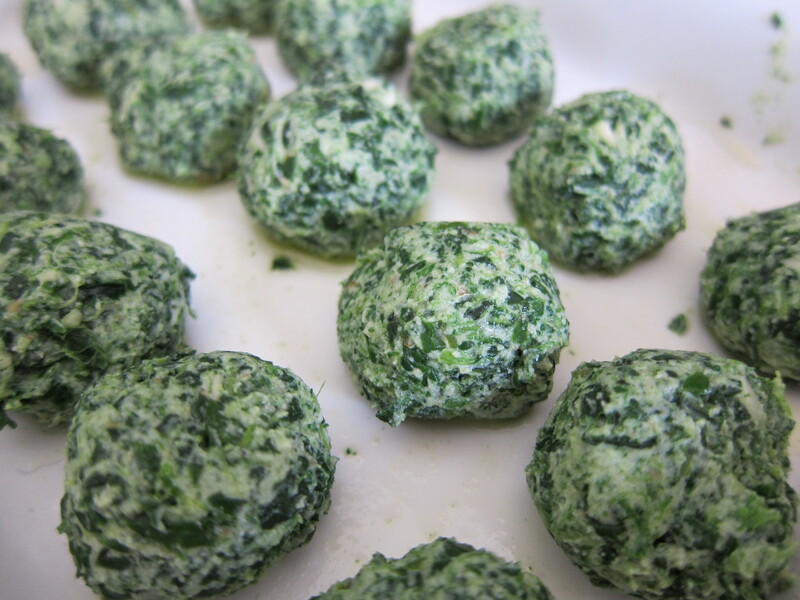 The gnocchi were easy to make, held together well when cooked, and were beautifully light and flavoursome. 1. Defrost spinach and squeeze all the liquid from it. 2. Finely chop by hand or using a food processor. 3. 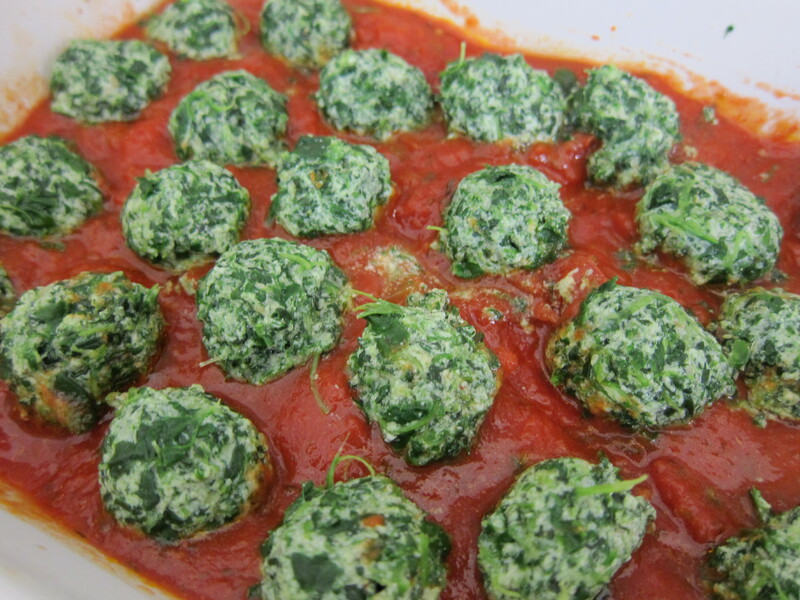 Mix together the spinach, ricotta, egg yolks, flour, salt and pepper to taste plus a large pinch of nutmeg. 4. Shape into small balls and place on an oiled plate or glad-wrap. 5. Refrigerate for at least an hour. 6. Bring a large pot of water to the boil then add a couple of teaspoons of salt. 7. Gently drop about 10 gnocchi into the boiling water at a time. 8. Remove with a slotted spoon as soon as they rise to the surface (approx. 30 seconds). 9. Place gnocchi into a shallow dish*. 10. Top with parmesan cheese. 12. Serve with extra virgin olive oil and fresh basil or pesto. 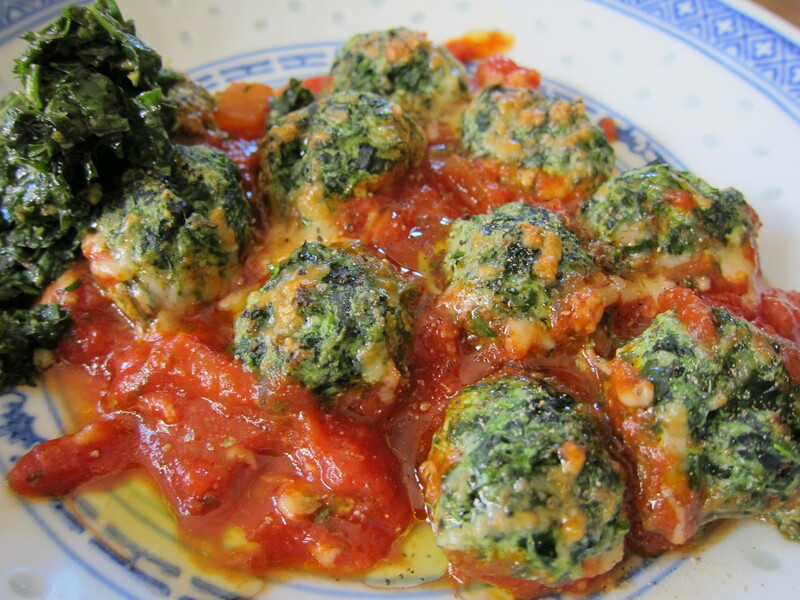 * I added 1 ½ cups of simple napoletana sauce to the dish before putting in the gnocchi. You could use a cream sauce instead or perhaps some pine nuts sautéed in butter. No wuckers! It is super easy. I made it as a quick lunch today for me and Jen, and she reckons Sam (8 months) might even like to try it too! Hot diggety, that looks mighty fine. Myself and a certain someone will be cooking up this little number very soon.